The Moowi Puppets are speech and language therapy tools with which mouth and tongue articulation exercises will never be boring again. This is a great help for speech-language pathologists, kindergarten educators, teachers and therapists as well as for parents, that is for all those who care about children’s speech development. 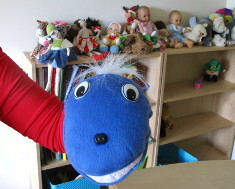 The puppets encourage children to practise and become an inseparable companion in speech therapy classes. 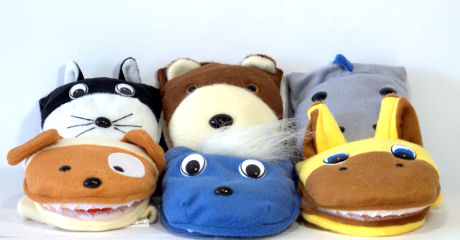 They make the hard speech therapy work fun – interesting, colourful and effective. 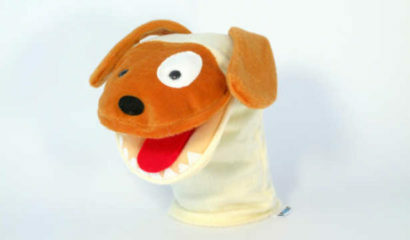 Our puppets are also distinguished by the use of high-quality material and workmanship, with special attention given to their mouth with a tongue and teeth. Thanks to this the puppets are aesthetic, functional and durable. Have fun and a lot of speech therapy successes with Moowi! 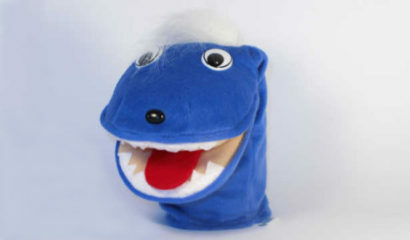 The Moowi puppets are priced to make them affordable for home use and I think they would be a great addition for parents working to support their children at home. I tried them out in a session and they were a hit! 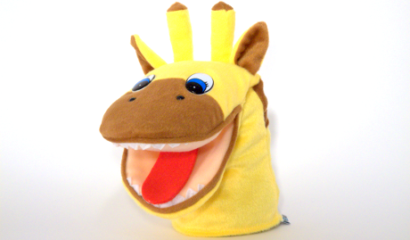 The kids loved watching the Dino puppet make his speech sounds and were very eager to mimic him. You can't go wrong with adding this to your SLP box of tricks! 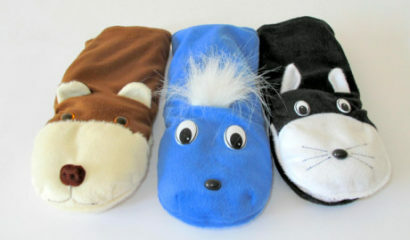 These puppets can be a great addition to your therapy bag of tricks. 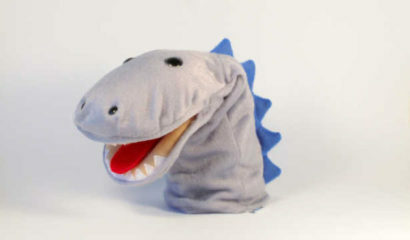 The dinosaur puppet is now permanently added to my early intervention bag! Why should you have Moowi puppets? A child’s first contact with a speech therapist may be difficult. The child may feel constrained by the presence of an unknown adult. It also may be difficult for him/her to understand what he/she is expected to do. For this reason it is a good idea to present a puppet as a speech therapy assistant at the beginning of the class and thus to reduce the child’s anxiety. With the help of a friendly and sympathetic puppet, in a relaxed atmosphere, you can explain to the child how the therapy will look like. As a result, it will be easier to establish a trusting relationship and encourage further therapy. 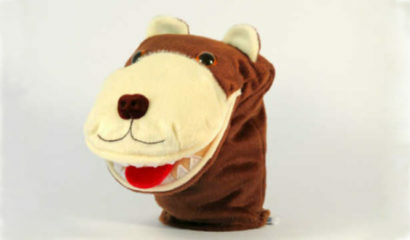 The hand puppet with a mouth and a tongue is ideally suited to demonstrate articulation exercises to the child, as well as to show how he/she should arrange her/his speech organs to pronounce a given sound. At the next stage, you can swap roles. The child may explain how to practice to the puppet. In this way the child – by engaging in the entertaining exercises – acquires the necessary knowledge which translates into better results in speech therapy. The child will identify himself/herself much more easily with a puppet, which is plush, colourful and cheerful, than with an adult. All the puppet does is pique the child’s interest. Therefore the puppet helps not only in the exercise of articulation and triggering sounds, but also at the stage of their fixation in syllables, words and sentences. Additionally, it effectively encourages the child to follow and repeat exercises. 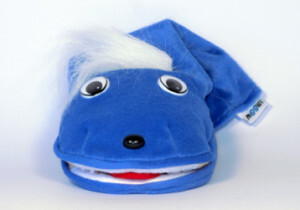 No other speech therapy tools encourage a child to act spontaneously and thus promote the development of vocabulary and improvement of his/her talking capabilities as effectively as puppets. When “speaking through the puppet” the child may feel more comfortable and at ease. Supporting such spontaneous activity is particularly important in working with children with delayed speech development and in speech disfluencies therapy. The involvement of the child in speech therapy exercises is the key to effective therapy. 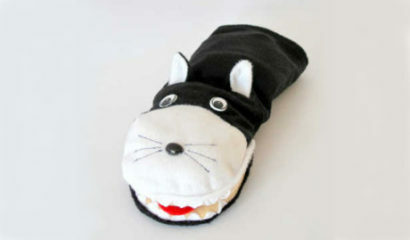 The hand puppet as a cheerful, colourful and sympathetic speech therapist assistant will help you achieve this effect. Let’s not limit your imagination! Group speech therapy activities. First meeting with a speech therapist and Moowi in the classroom The course of group speech therapy activities in the classroom: 1. Welcome – the speech therapist introduces himself and his assistant Moowi the Puppet. They say hi to childr .. Speech therapy class idea – make paper giraffes Looking for an idea for your speech therapy class? Take advantage of our Giraffe as your speech therapy assistant and Krokotak’s great post on how to make paper giraffes. Hav .. Faster delivery to USA, Canada, Australia and New Zealand We have introduced an optional, significantly quicker way of shipping our puppets to the USA, Canada, Australia and New Zealand, popular destinations for our speech and language th .. 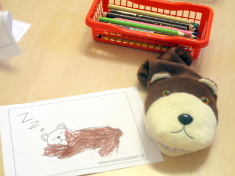 Speech therapy activities for preschoolers run by a teddy bear Speech therapy activities for preschoolers can be fun and engaging, especially if a speech class is run by a teddy bear! We present a free scenario of group activities for such a c ..